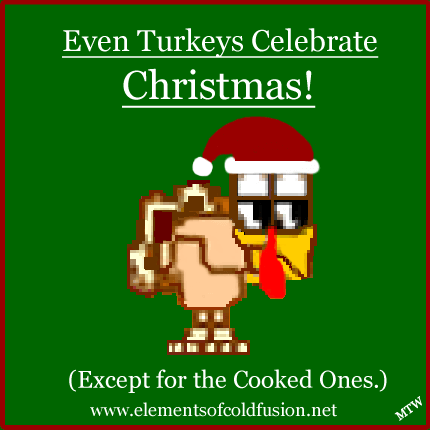 We wonder whether turkeys really do celebrate Christmas, because the cooked ones definitely don’t! As much as I would like to think that turkey’s celebrate Christmas, I have only found two of these birds that I know of, and they just appeared in my designs! 🙂 Whether these turkeys end with their feathers plucked, cleaned, stuffed with a breaded concoction, and then placed in an oven for eventual cooking, is anyone’s guess. It has become quite obvious that these cooked turkey’s won’t be. A few lucky turkeys do receive a pardon from the President of the United States as Thanksgiving arrives in late November. However, for those Christmas loving turkeys, a pardon from the POTUS may be slim-to-none! Sorry! If Santa Claus feels like saving a lot of turkeys this Christmas Day by stowing a good dozen or so of those Christmas loving turkeys into his sleek looking, high tech Sleigh — I actually wrote about Santa’s 2017 Modeled Sleigh — “Ole Saint Nick” can surely cruise through the sky at the end of his shift of delivering toys to all the good kids and take some turkeys back to the North Pole! And as a show of good faith that these Christmas loving turkeys will not all be cooked, I will send my holiday wishes to all those turkeys out there looking to enjoy good cheer and glad tidings with friend and foul! Gobble, gobble, all you turkeys! 🙂 Best of luck! Merry Chrismas, and Happy New Year!